We got a lot of smartphones last year that came with a perfect balance of great specs and affordability and looks like 2017 is going to be a good year for these phones as well. Huawei has recently unveiled the successor to the Huawei Honor 5X, the Huawei Honor 6X. It’s slightly pricey than the Honor 5X but the specs inside should make up for it. To learn more about this phone including the Huawei Honor 6X Kuwait price, keep reading. It’s the same screen size and resolution we get compared to the Honor 5X which means a 5.5-inch screen and 1920 x 1080 pixels resolution with 403ppi of pixel density. There are no major changes in design except the dual cameras on the back. This phone is 8.2mm thin and weighs about 162g. There are three colors to look out for: Silver, Gray and Gold. 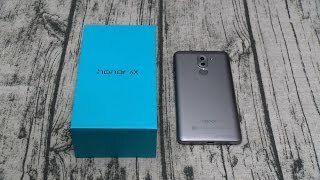 As this phone is already available you don’t have to wait for the Huawei Honor 6X release date Kuwait. Although the latest Android operating system Android Nougat v7.0 is already available, the Huawei Honor 6X will be running Android Marshmallow right out of the box. It will also show up with a touch of Emotion UI 4.1. After the iPhone 7 Plus showed up with a DSLR like blur effect, it was only a matter of time for other phones to show up with this feature. While the end result we get with the dual cameras is not really close to the one we get in the iPhone 7 Plus, it’s a nice feature to have in a mid-range phone. There are two cameras: one 12-megapixel one and a 2-megapixel one to give users a blurred background like DSLR cameras. The front camera is also a nice 8-megapixel one. For those who are looking for a good camera phone: there is the Samsung Galaxy S7 Edge and Google Pixel XL. However, these are quite expensive compared to the Huawei Honor 6X Kuwait price. This is where things get interesting compared to its predecessor. 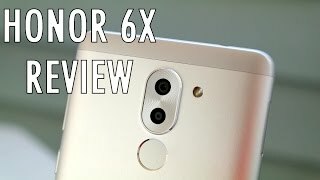 As mentioned earlier, the Huawei Honor 6X is slightly pricey but it’s because you get the HiSilicon Kirin 655 octa-core processor inside paired with either 3GB or 4GB of RAM. There are two different storage options as well: 32GB and 64GB. Other notable features of this phone are: DTS audio technology, fingerprint sensor on the back, 3340mAh non-removable battery and fast charging technology. The battery size is slightly disappointing considering the specs included in this phone. There is the Asus Zenfone 3 Max and Lenovo Vibe P1 if it’s a phone with a bigger battery you want. The Huawei Honor 6X will cost around KWD 100 . It has been released already which means you don’t have to wait for the Huawei Honor 6X release date Kuwait for too long.